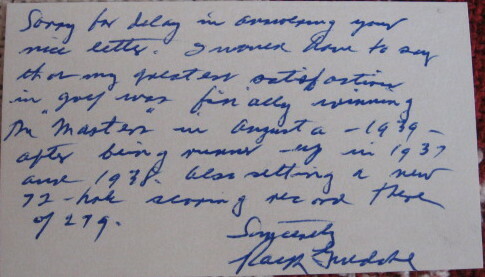 This is a little difficult to see but it is a Hand written letter from Guldahl. 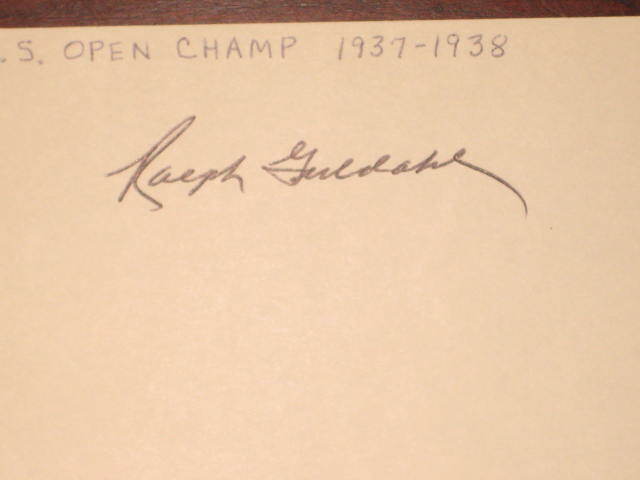 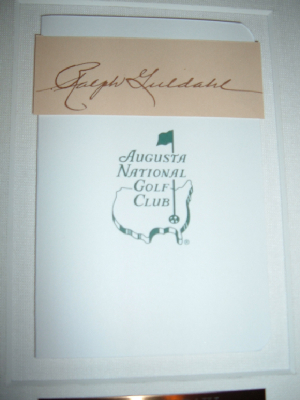 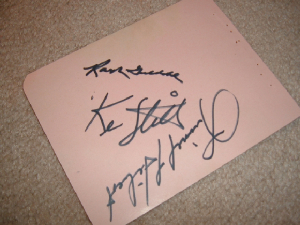 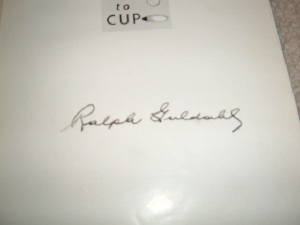 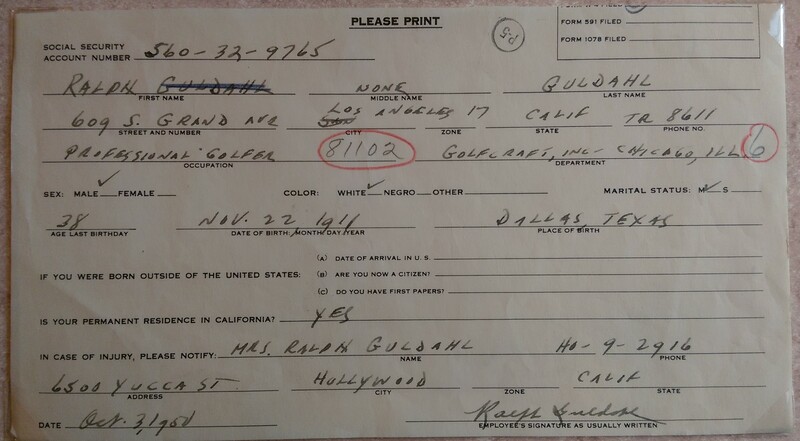 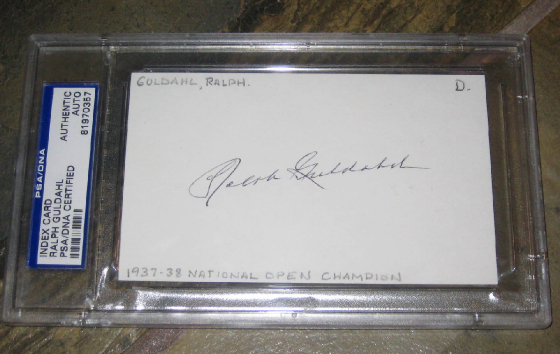 Ralph Guldahl signed Note talking about his most thrilling moment in golf was winning the 1939 Masters. 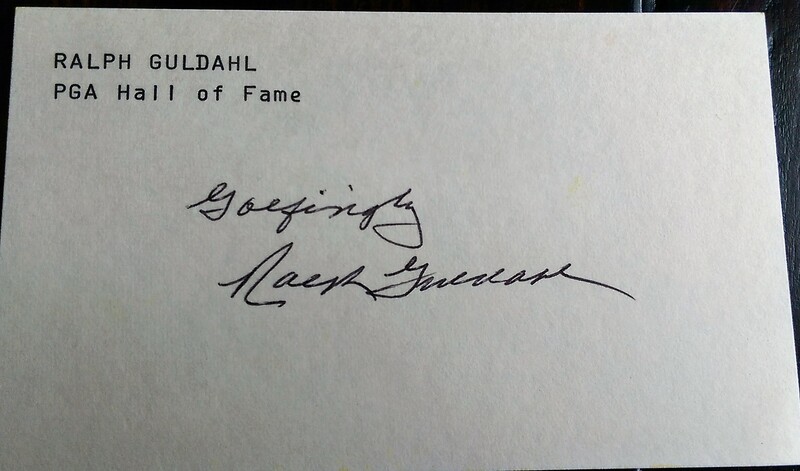 Signed on back of his business card. 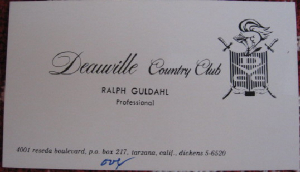 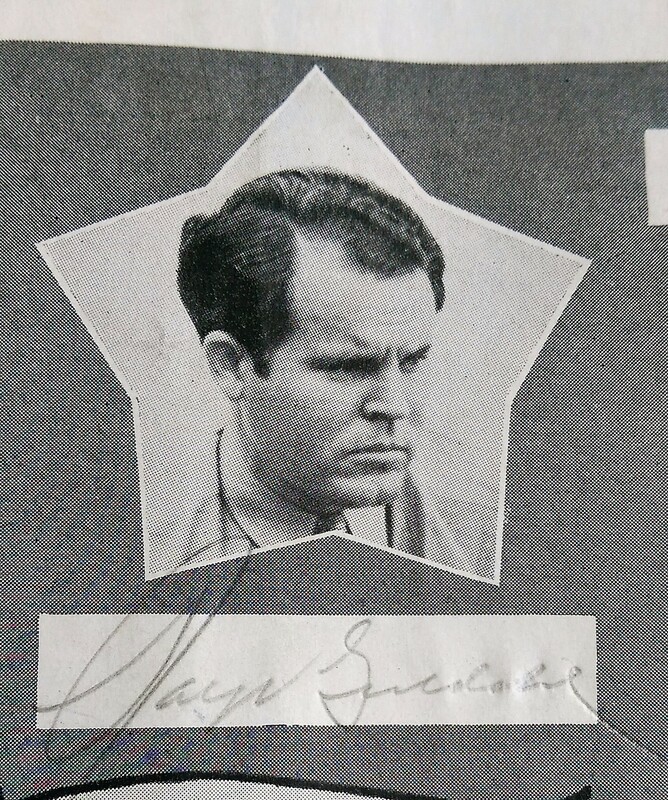 Front of his Business Card.